Barefoot is a superior low ash pellet. These pellets are manufactured from clean sawdust and other clean lumber materials from cabinets, hardwood flooring, etc. 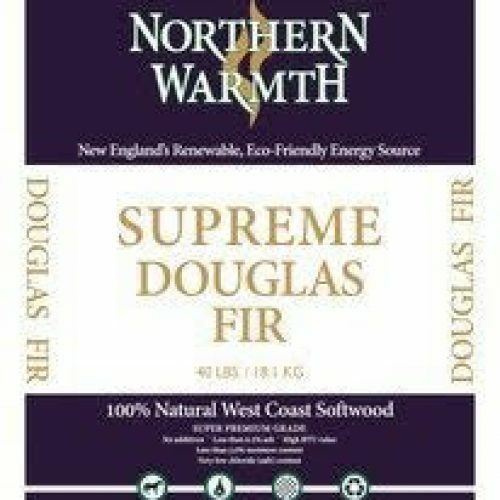 from woods such as cherry, maple, white/red oak & walnut. This pellet is smaller in diameter and offers high BTUs. The Barefoot facilities are located in Troy, Pa. They are consistent from batch to batch and has very few fines. Barefoot Wood Pellets are exceptional because of the quality and the cleanliness of the raw material used to make pellets. Barefoot Pellets are made with clean sawdust and other clean wood waste material primarily generated in the manufacturing of hardwood lumber into various wood products such as kitchen cabinets, hardwood flooring, etc. Barefoot Pellets utilize sawdust from a variety of hardwood species from the renewable & sustainable forests of Pennsylvania and New York. These species include Cherry, Maple, Red Oak, Hickory, Walnut, and White Oak. Barefoot Pellets are independently tested periodically and meet the standards for super premium pellets as established by the Pellet Fuel Institute. 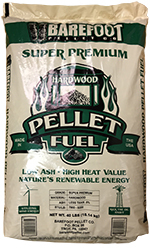 Barefoot Pellets have superior low ash content due to the quality of the hardwood raw material used. Barefoot Pellets are extremely efficient in terms of low emissions, clean burning and high heat.